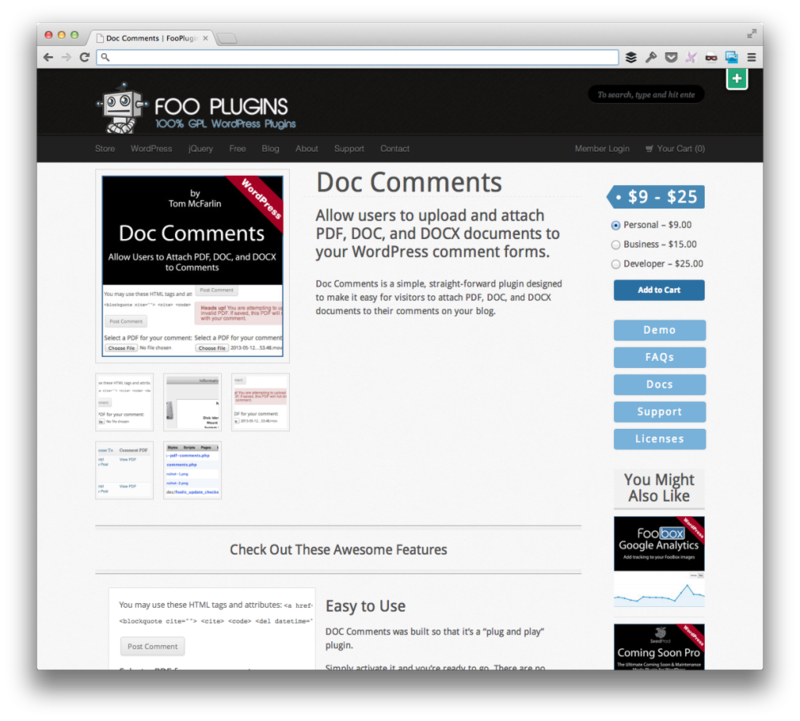 Earlier this month, I shared that I was releasing a WordPress plugin exclusively through the guys over at Foo called PDF Comments. However, in the last 25 days or so, I’ve received a lot of feedback generally saying that the plugin is something people need, but they need it to be more flexible in the document types that it accepts. So I’ve officially rebranded PDF Comments as Doc Comments, updated the purchase page on Foo, and introduced support for a number of new document types. For those of you who have read the initial post, then you’re already familiar with the plugin itself; but now it actually includes support for more than just PDF files. 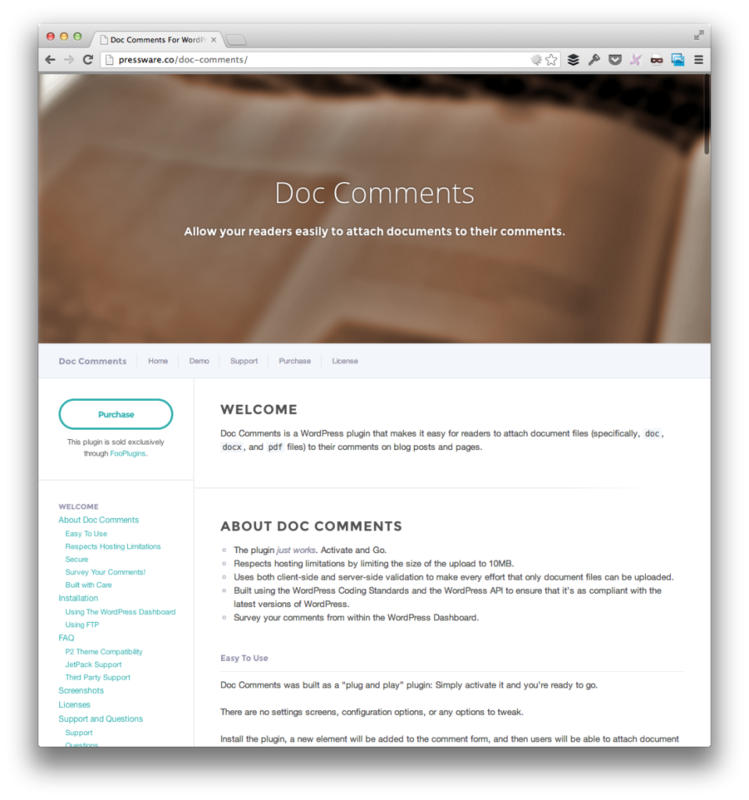 Doc Comments in a WordPress plugin that makes it easy for readers to attach document files to their comments on blog posts and pages. In terms of differentiation from its initial release as PDF Comments, Doc Comments now maintains support for PDF files and introduces support for DOC files and DOCX files. The administrative interface has also been updated to reflect this change so there’s little-to-no deviation coming from the functionality that you’d expect. Personal. $9 for use on a single site. Business. $15 for use on as many sites as you own. And each license is valid for one year. One of the most common questions that I’ve seen regarding this particular plugin is “what’s a use case for a plugin like this?” so I thought it would be worth sharing at least one if for nothing else to show one way that it can be used. In short, the specific use case is for an intranet-style blog where an educator, teacher, or some other point-person is setting up an assignment using a post (or some other post type) to which a comment is obviously not the best place to respond in full, but it allows for readers to attach their assignment (usually an essay or longer document) to their comment as a way to turn it in. The site admin then obviously has rights on if the blog is public or not and whether or not the comments are moderated so other ‘students’ or whatever can see others’ works. With that said, I want to be clear that the guys over at Foo don’t require any exclusivity. This is simply a decision I’ve made because I’m a fan of what they are doing. Check out Comment Images if you need to attach comments. Doc Comments only supports documents and nothing else. But dont you have a plug in to attach all both docs and images? 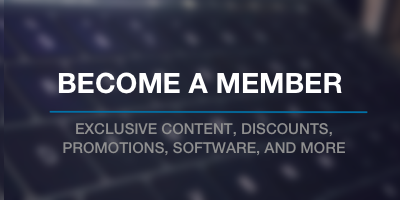 No I don’t, and I don’t plan on really offering that functionality. I believe in creating tightly focused plugins that tend to do one thing and one thing well. For those that want to attach images, Comment Images it their best best. For those that want to attach Documents, then Doc Comments is their best option. Mixing the two would ultimately provide some functionality others may not need. It’s a hard line to tow, for sure, and I’m not trying to isolate anyone but, as for now, this is how this is going to remain.